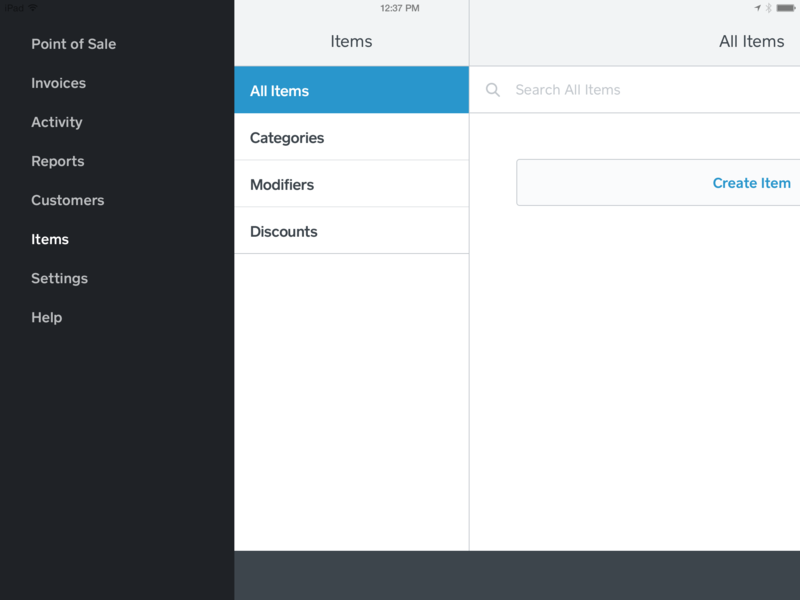 From your Square Point of Sale app, select Items from your navigation bar. 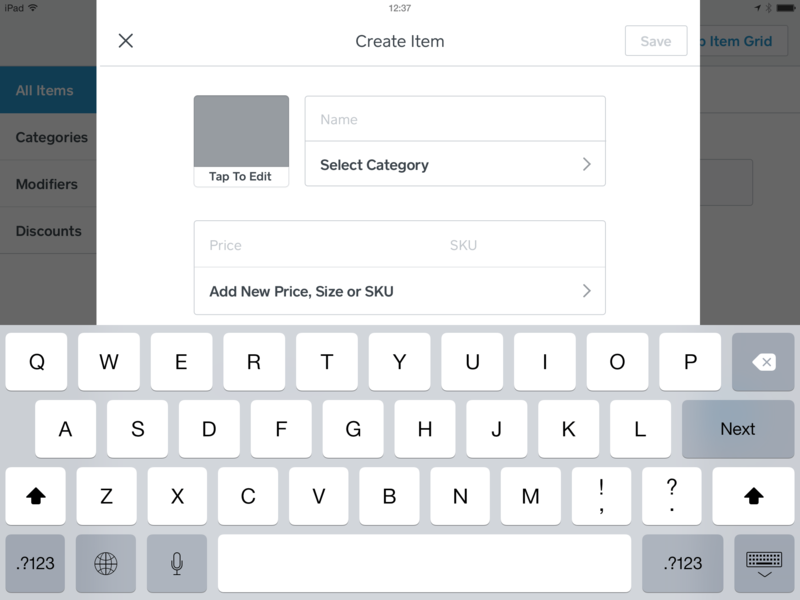 Within Items, tap All Items and select Create Item. Start by naming your product or service. Then add a photo, price points, SKUs, and a category. If you want to input the item’s price at checkout, leave the price field blank. Tap Save.